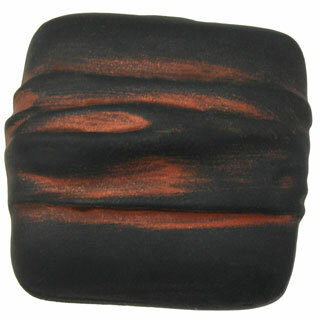 Solid Pewter Square Knob: Bronze & Copper Wash Finish - measures 1 1/4 Inches by 1 1/4 Inches with a projection of 1 inch. This item works well with stainless steel appliances and dark cupboards. Shown in a Bronze & Copper wash finish. Available finishes include Pewter Matte, Pewter Bright, Satin Pewter, Brushed Pewter, Matte Black, Bronze, Rubbed Bronze, Antique White, Antique Copper, Verdigris, Antique Brass Gold, Iron Red, Rust, Black Terra Cotta and Black Copper Wash.